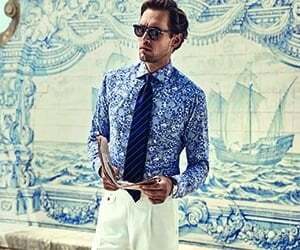 If you have a thirst for fashion then Scotch and Soda UK could be just the brand to quench it. Scotch and Soda UK produces top quality clothing for women and kids, and here at Robert Fuller you can choose from a fantastic array of men’s fashionwear at great prices. This label began life in the 80s but has continued to evolve and keep up with casual fashion trends, as you can see from the attractive items on this page. Invest in intoxicating men’s fashion now with Scotch and Soda UK.